John Thompson vs. American Justice, produced by Andrew Marantz, Sarah Lustbader, and Katherine Wells and edited by David Krasnow for The New Yorker Radio Hour. When John Thompson was investigated for the murder of the son of a prominent family in New Orleans, he insisted on his innocence. But prosecutors wanted a conviction and he quickly landed on death row. Eighteen years later, and just weeks before his execution date, Thompson’s lawyers discovered that a prosecutor had hidden exculpatory evidence from the defense. Uncounted Civilian Casualties in Iraq, produced by Annie Brown, with reporter Azmat Khan and edited by Lisa Tobin for The Daily. The American-led battle against the Islamic State has been hailed as the most precise air campaign in history. But its airstrikes have killed far more Iraqi civilians than anyone has acknowledged. Basim Razzo lost his family and his home in one of these airstrikes. Why was Mr. Razzo’s home targeted? And how often does this happen? Summer Rain, produced by Nanna Hauge Kristensen for Danish Radio P1. Visibility and invisibility. Severance and openings. Everyday life, loss and rain. This short documentary is a personal piece about Chemo therapy. Host’s Fat, produced by Jonathan Zenti and edited by Cathy Fitzgerald for Meat. Jonathan Zenti is an overweight man. He explains how the shape of his body and the diets he underwent in his life has often caused him to question his identity. Hidden Problems of Silicon Valley, produced by Will Evans and Alyssa Jeong Perry and edited by Taki Telonidis with Ziva Branstetter for Reveal in partnership with KQED. This investigation into Tesla’s safety practices shows how the company has prioritized production over safety and disregarded the warnings of its own safety staff. Tesla responded by calling Reveal an "extremist organization." Overnight in the E.R., produced by Sammy Mack and edited by Alicia Zuckerman for WLRN News. Over the course of a night at the Ryder Trauma Center at Jackson Memorial Hospital in Miami, it’s not uncommon to see a gunshot wound victim come through the doors. This story shows what happens in those crucial moments after a shooting in real-time. Man Choubam (I am good), produced by Sharon Mashihi with editors Bob Carlson and Kaitlin Prest for UnFictional from KCRW. Sharon calls herself a weirdo and refuses to conform to cultural standards. Her mom does not approve. They confront their longstanding differences on an Iranian self-help cruise. God + the Gays, produced by Phoebe Wang. Dirty Water, produced by Nigel Poor and Earlonne Woods, with help from outside producer Pat Mesiti-Miller and editor Curtis Fox for Ear Hustle. Missing and Murdered: Finding Cleo, written & hosted by Connie Walker and produced by Marnie Luke and Jennifer Fowler for the Canadian Broadcasting Corporation. Espera / Wait, produced by Sayre Quevedo. Counted: An Oakland Story, produced by Adizah Eghan, Anna Sussman, Shaina Shealy, Jonathan Jones, with co-producers Pat Mesiti-Miller, Nancy Lopez, Jazmin Aguilera, Eliza Smith, and Pendarvis Harshaw for Snap Judgment. All these award winning stories can be heard in their entirety at ThirdCoastFestival.org and the full awards ceremony can be heard here. For 2017, the Third Coast Festival is back with the annual "Best of the Best" broadcast featuring the winners of its annual documentary competition. In this two-hour special, host Gwen Macsai, presents the top radio stories of the year! 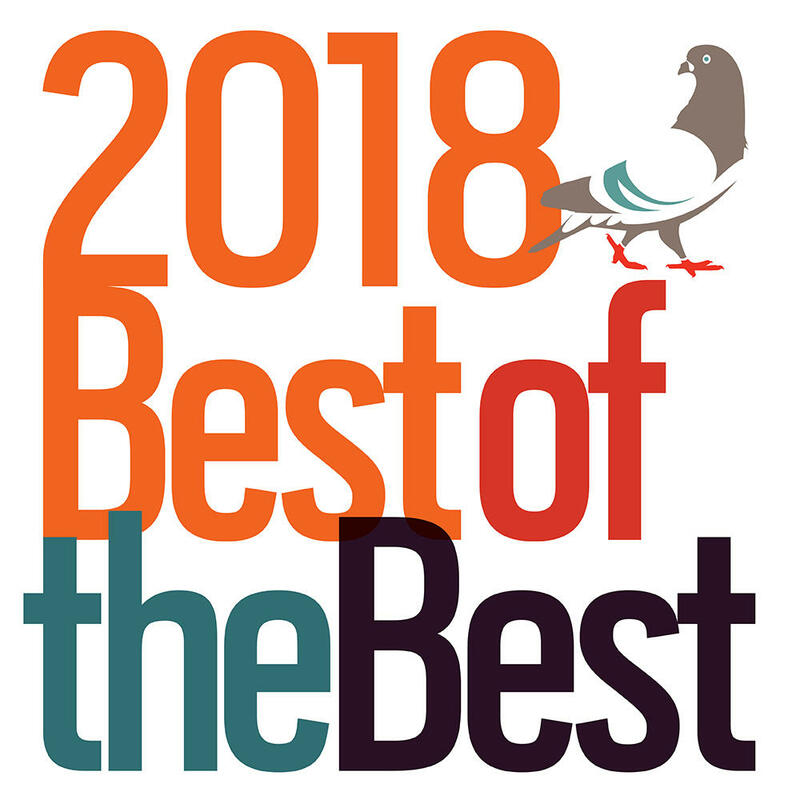 For 2016, the Third Coast Festival is back with the annual "Best of the Best" broadcast featuring the winners of its annual documentary competition. In this two-part special, host Gwen Macsai, presents the top radio stories of the year!